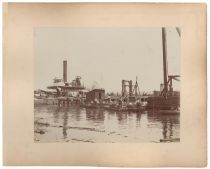 9 1/2” x 7 1/2” image of a 19th century salvage operation. At center of image, a diver is being suited up. Mounted on a 13 1/4” x 10 5 /8” sheet. Another 9 1/2” x 7 1/2 image of a salvage crane is mounted to the other side of the cardboard. Both images are extremely clean and crisp. Very Fine. 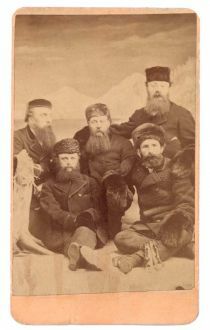 An interesting portrait of 5 men dressed in heavy winter clothing with a background of snow covered mountains. Unusual. Back stamp J. Page Wood, Photographic Artist, 178 Water Street, St. Johns, New Foundland. Fine. 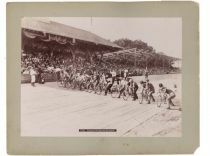 12 3/8” x 9 1/4” long distance photograph of bicycle racers lining up at the starting line c. 1890s. Text box at bottom center of image reads: Saturday. Third heat, One mile open Amateur” Image mounted to a 14 3/4” x 11 3/4” piece of cardboard. Backstamp reads: Credit Culver Service 205 East 42 Loaned for one use only.” Slight paper loss at lower left edge of cardboard. One small stain on image. Overall Very Fine. During the late 1890’s, the oval wooden bicycle racing track at Willow Grove Park hosted a number of national races. 12 3/8” x 9 1/4” close up photograph of bicycle racers lining up at the starting line c. 1890s. Text box at bottom center of image reads: Friday. Final heat, One mile National Championship Amateur.” Image mounted to a 14 3/4” x 11 3/4” piece of cardboard. Backstamp reads: Credit Culver Service 205 East 42 Loaned for one use only.” Chipping at edge of cardboard. Tear at left and right edge of cardboard, not affecting image. Overall Very Fine. 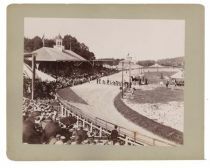 During the late 1890’s, the oval wooden bicycle racing track at Willow Grove Park hosted a number of national races. 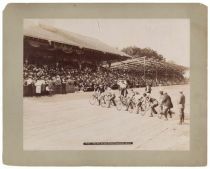 12 3/8” x 9 1/4” short distance photograph of bicycle racers lining up at the starting line c. 1890s. Text box at bottom center of image reads: Friday. Final heat, One third mile open Amateur.” Image mounted to a 14 3/4” x 11 3/4” piece of cardboard. Backstamp reads: Credit Culver Service 205 East 42 Loaned for one use only.” Tears to cardboard. One small tear on photograph, but image remains intact. Overall Fine. 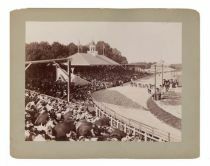 During the late 1890’s, the oval wooden bicycle racing track at Willow Grove Park hosted a number of national races. 12 3/8” x 9 1/4” long distance photograph of bicycle racers lining up at the starting line c. 1890s. Text box at bottom center of image reads: Friday. Final heat, One mile 2:05 class Professional.” Image mounted to a 14 3/4” x 11 3/4” piece of cardboard. Backstamp reads: Credit Culver Service 205 East 42 Loaned for one use only.” Chipping at edge of cardboard. Overall Very Fine. During the late 1890’s, the oval wooden bicycle racing track at Willow Grove Park hosted a number of national races. 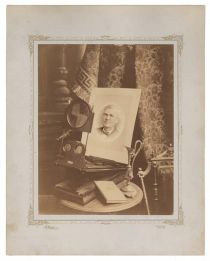 7 1/2” x 9 1/2” photograph of an Edison photograph in a Graphoscope on a table with a small decanter and a book. Ornate gilt border. Matted to an 11” x 14” sheet. Photographed by. J. Holyland, 231 W. Batlo St., Balto, Md. Some very slight toning on larger sheet. Overall Very Fine. 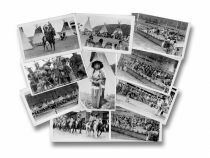 Archive of 136 photographs of Rickenbacker and his wife, Adelaide Frost, and friends. 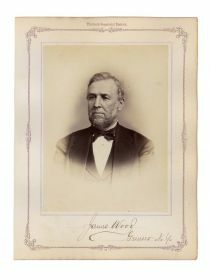 Images include photographs taken during the couple’s ocean crossing aboard the S.S. Majestic; photographs of WWI trenches, cemeteries, battlefields and even the site of Rickenbacker’s hanger at Toul. Photographs also document visits to the Etampes Air Races, Paris, Venice, Rome, Pompei, and travel throughout Italy & France. Sixty three of the photographs of mounted to loose leafs. 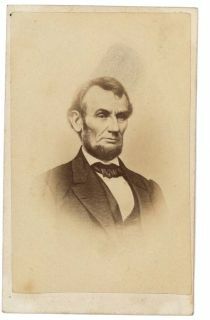 The majority of photograph are indentified on back or, in the case of mounted images, on loose leaf. A great archive of Rickenbacker photographs that also captures Europe in the years between WWI and WWI. Overall Very Fine. 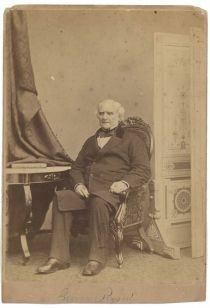 HENRY WAGER HALLECK (1815-1872) U.S. Army officer, scholar and lawyer. 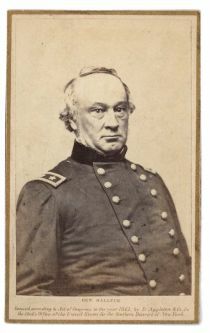 CDV of HALLECK. 2 3/8” x 4”. Backstamp reads: “ Cartes de Visite D. Appleton & Co. 443 & 445 Bway New York A.A. Turner Photographer.” Text below image of Halleck reads: “ GEN HALLECK Entered according to Act of Congress in the year 1861, by D. Appleton & Co. in the Clerk’s Office of the Unite States for the Southern District of New York.” Fine.